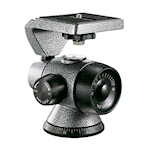 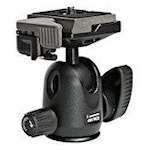 The Fujinon Mount for 25/40x150 Binoculars can sit on a pedestal or a platform. 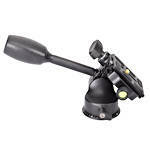 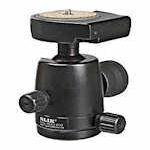 This sturdy mount is just what is required to steady and aim their jumbo binoculars. 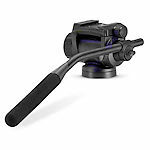 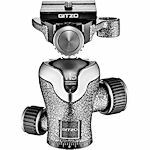 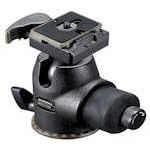 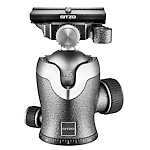 The Gitzo GS5000 thread adapter allows 3/8" connectivity to adapt to 1/4-20". 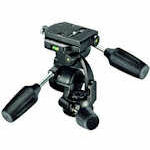 This adapter works with lighting and tripod equipment. 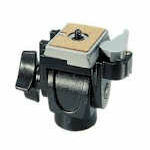 Gitzo Brass Bushing - 10 mm Long, Convert 5/8" To 3/8"
This product is a sturdy, stable center mount accessory for attaching Kowa High Lander Binoculars to the High Lander Tripod. 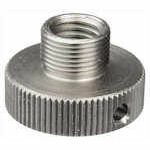 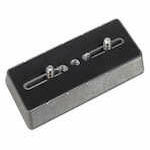 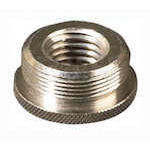 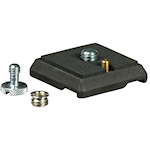 Adapter Plate - Converts 1/4" screw to 3/8 ". 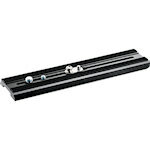 Formerly 3367. 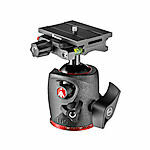 Manfrotto 200PL RC Plate w/ 1/4-20 and 3/8 combines the features of the 200PL-14 and 200PL-38 rapid connect plates by adding the 148KN 1/4-20 to 3/8 bushing to the 200PL-14 plate. 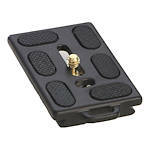 Manfrotto 384PL-14 Dove Tail Rapid connect plate with 1/4" screw for the Modo 718SHB. 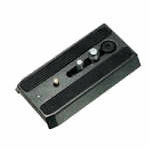 Formerly 384PL. 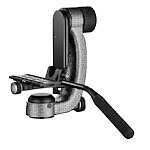 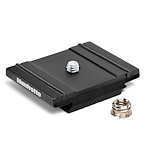 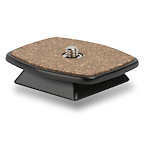 Manfrotto 120 Adapter Plate - 3/8" to 1/4"
The Manfrotto 120 Adapter Plate converts tripod head screw from 3/8 Inch to 1/4 Inch. 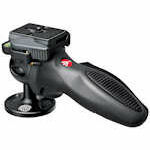 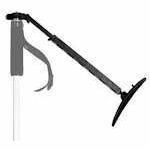 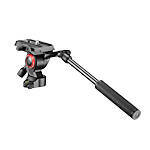 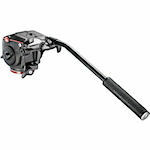 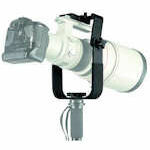 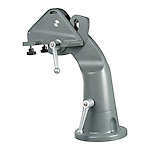 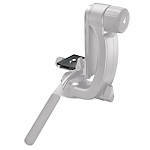 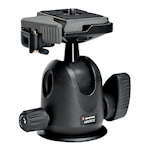 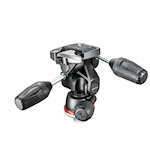 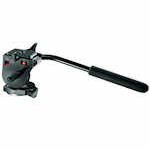 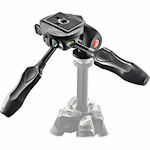 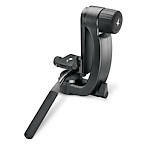 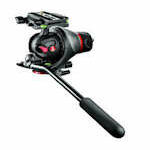 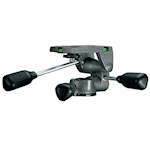 Allows any Manfrotto tripod to accept heads with 1/4-20 Inch socket. 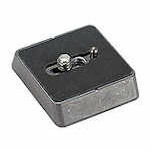 Formerly 3054. 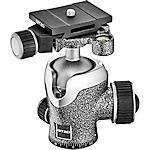 The Manfrotto 148KN bushing allows attachment of Bogen tripod heads with 3/8" screw holes to tripods with 1/4"-20 mounting bolts. 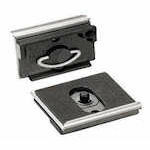 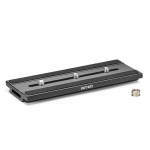 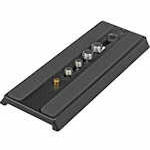 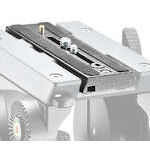 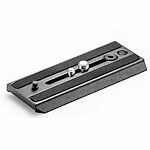 The Manfrotto 200PLARCH-14 RC2 Rapid Connect Architectural Mounting Plate is a rectangular mounting plate with 1/4-20" screw. 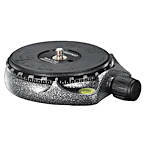 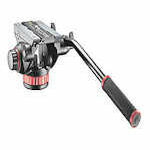 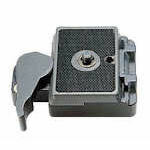 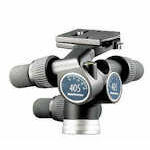 Provides alignment for 90 degree shots with 35mm SLR Camera. 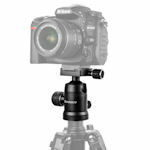 The Manfrotto 3D Magnesium Head with RC2 Rapid Connect Plate (200PL-14) is the ideal lightweight head to achieve perfect framing in combination with 35mm SLR and medium format cameras. 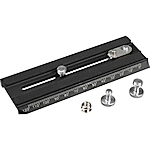 The Manfrotto 410PL RC4 Low Pro is a spare Rapid Connect Mounting Plate with 1/4" and 3/8" screw.for 394, 3270, 3275 and 3436RC4 Plate Adaptors. 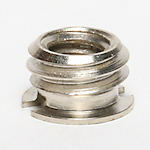 Formerly known as 3271. 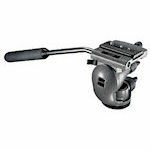 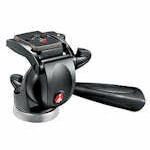 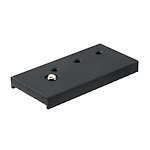 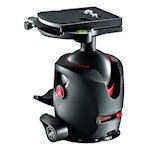 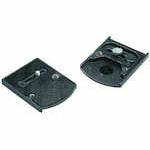 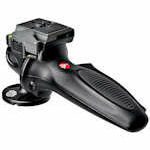 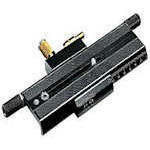 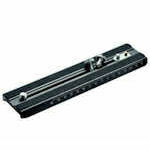 The Manfrotto 500PLONG Plate for MVH500 Heads comes with the MVH500A and MVH500AH heads. 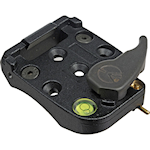 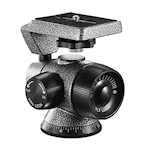 Get extras for attaching additional cameras or spotting scopes. 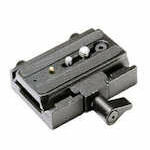 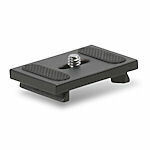 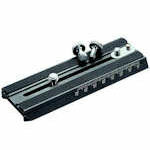 The Manfrotto 501PL Rapid Connect Sliding Plate is a spare Mounting plate for 501 and 503 Pro Video Heads. 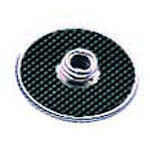 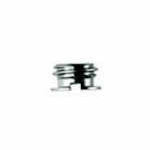 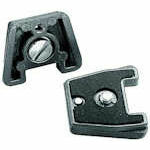 Supplied with 1/4" and 3/8" mounting screws. 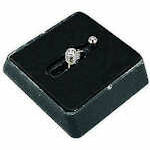 Formerly 3433PL. 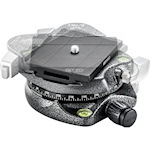 The Manfrotto 501PLONG rapid connect plate fits 501HDV and 701HDV video heads and extends the ability to balance cameras and spotting scopes. 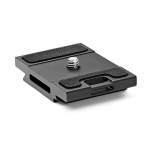 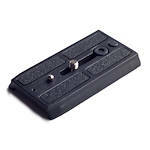 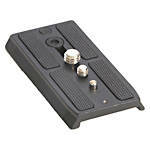 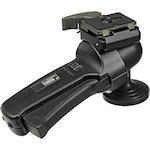 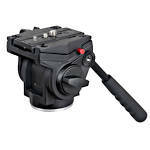 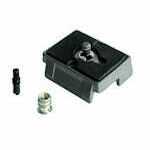 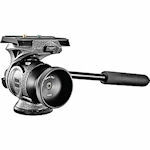 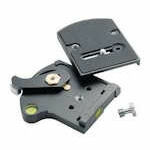 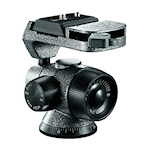 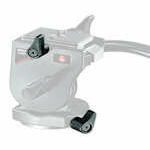 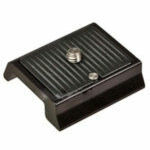 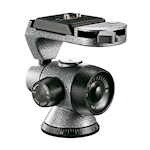 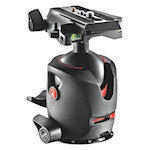 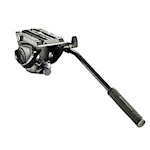 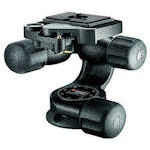 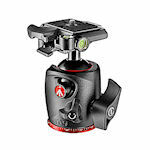 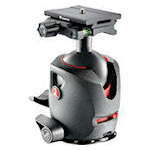 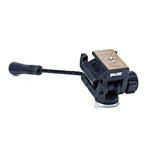 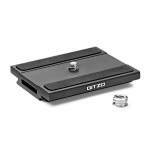 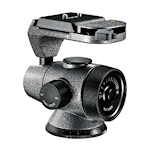 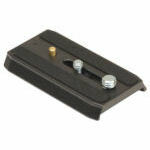 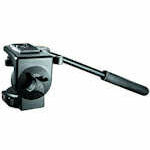 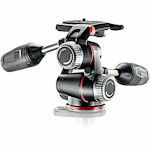 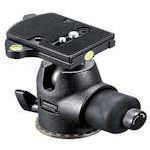 The Manfrotto 504PLONG Video Camera Plate fits the Manfrotto MVH502AH and MVH502A Pro Fluid Video Heads. 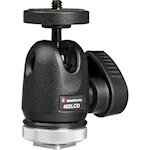 The Manfrotto Heavy Telephoto Lens Support/ Bracket with RC3 Rapid Connect Plate 357PL is specifically developed for use with very long lenses on monopods. 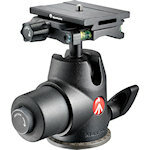 The Manfrotto R700,32 Replacement Knob replaces both the rapid connect locking screw and the pan tension screw on the Manfrotto 700RC2 head. 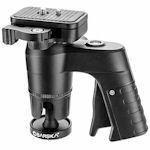 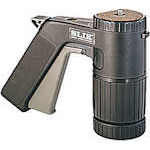 The Slik AF2100 Pistol Grip Head gives you squeeze and point speed for aiming a spotting scope or camera. 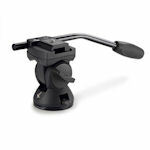 DH 101 Tripod Head are stable, secured pan tilt tripod head with Fast Mount System (FMS) built specifically for Swarovski Optik tripods. 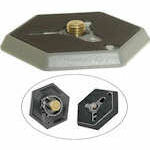 Swarovski quick release plate for the FH101 fluid head. 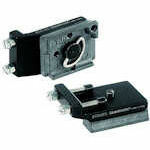 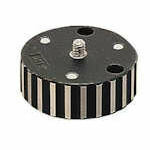 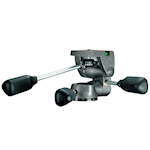 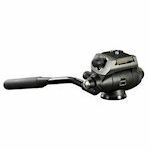 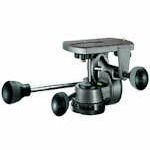 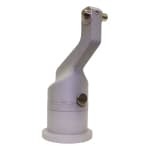 It features a 1/4"-20 screw as well as a retractable anti-twist video pin. 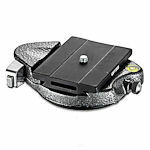 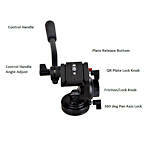 The Swarovski Tripod Plate for PTH is a quick release plate that pairs with the gimbal style professional tripod head, featuring an Arca Swiss style attachment.